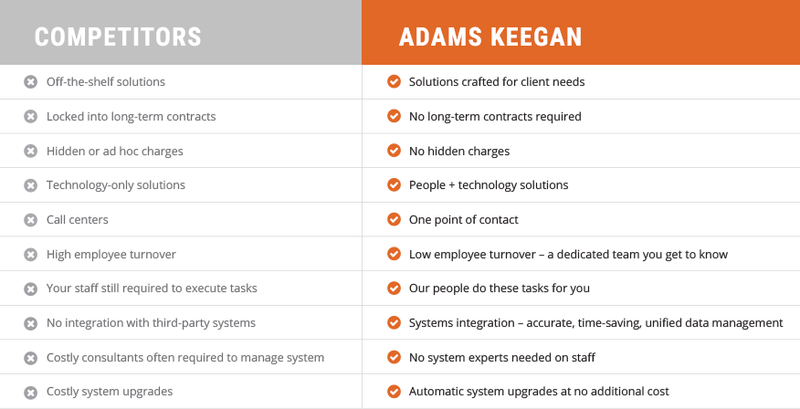 You’ll find that the “sales cycle” at Adams Keegan is unlike that of other providers. We begin with a series of conversations to learn more about your business and needs. In fact, our sales cycle could more accurately be called a conversation cycle. We don’t feel any urgency to win someone’s business until we are absolutely certain that we can change their enterprise for the better.